The history of casinos is very old and can travel us back in time. Before they turn into the places we know nowadays, many things changed regarding their day-to-day operation. However, what not only hasn’t changed but has been adopted by online casinos is using chips during the games. 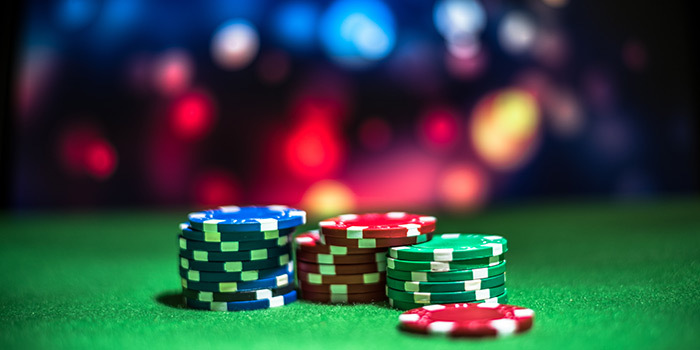 In every casino all over the world there are chips which can been used by the players in order to bet. Since casinos’ first days, they paid attention to the appearance of the chips. The reason was the fact that the way the chips looked differentiated between the casinos, while it proved the authenticity of them. Through all these years, the same chips were used by different people, some were lost while others turned into a souvenir that guests kept. We should note that every year, millions of chips are lost in Las Vegas casinos, most of the times because the players keep them. The chips collector Sheldon Smith, who has been collecting the rarest chips for the last four decades, revealed that many tourists own chips which are considered collectible. Usually they don’t even know it. Most of the times, casinos choose to withdraw their chips nowadays due to their decline, which occurs from the frequent cleaning of them. Older times though, casinos withdrew their chips in case of a fraud or when they closed down. What happens to the chips that cannot be used anymore? Since there is the danger that someone could try to use those chips in order to cheat the casino, the last sends those back to the company which produced them, in order to destroy them. According to a 1987 law, casinos should declare the number of the chips that do own as well as what they do with the ones that withdraw. When a casino closed down in the past, its chips were dropped in the foundations of a new. Furthermore, we shouldn’t forget how many chips have been found into lakes that are close to a casino. What games can you find in a live casino?